This journey of life is filled with twists and turns, obstacles and conflicts – all of which have shaped us into the people we are today. 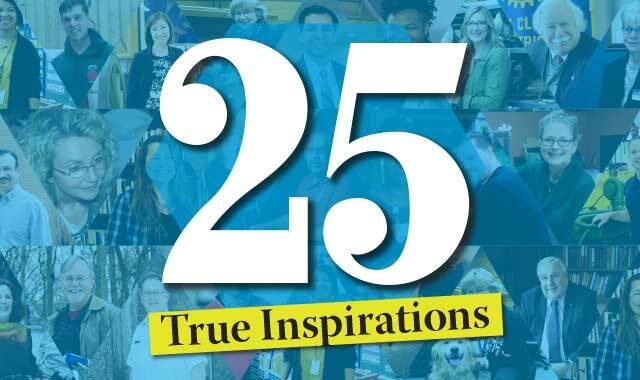 Meet 25 individuals who have left a mark on our region and inspired others around them on the road to success. These stories of extraordinary courage, vision and passion present a powerful reminder of the transformations happening all around our region – and the everyday heroes who provide a guiding light. Growing up, Vicki Benson loved celebrating her birthday. Her mother, Rosie, made sure all family members were present and each of her five children were celebrated on their own special days. Now, as an adult, Benson realizes how important it is to feel loved and recognized at a young age. So in 2009, she started Rosie’s Birthday Club with her friend Barb Verni-Lau. The nonprofit organization funds birthday parties for underprivileged children at eight local centers. The birthday kids also get a book and a present from their wish list. Oftentimes, it’s the only birthday celebration or present they get. Benson has always had a passion for volunteering. Besides Rosie’s Birthday Club, she’s also involved in “Young Women’s Leadership” at Rockford’s high schools. The organization empowers high school girls to aspire for leadership positions in their future careers. When she’s not volunteering, Benson works in the costume department at Starlight Theatre. She’s also worked at Auburn High School, Chicago Rockford International Airport and Ingersoll Cutting Tool Company. Benson encourages people to get out and volunteer because it’s an easy way to make the world a better place. Growing up, all Anna Pivoras wanted to do was read National Geographic magazines. 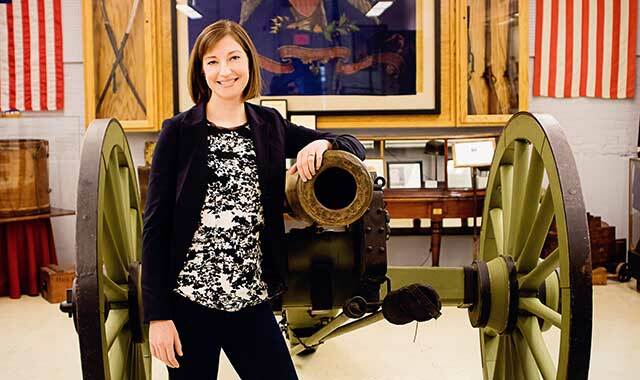 Now, she’s living the dream as she leads Boone County Museum of History in Belvidere. The small museum collects and shares stories and artifacts from around the county, with displays including an homage to Belvidere native and former Miss America Judi Ford and a 1966 Plymouth Fury – the first car off the assembly line at Belvidere’s Chrysler plant. 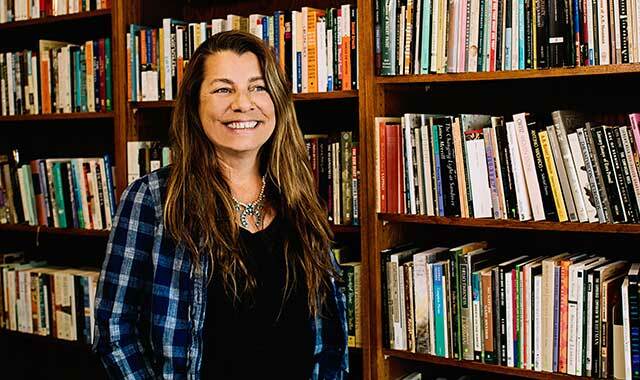 Before she landed in Belvidere, Pivoras worked, interned or volunteered at a variety of museums across the region and earned a degree in anthropology at Northern Illinois University. And if a big-city museum were to come calling someday, the Kirkland, Ill., native thinks she’d rather stay put. When she’s not diving into local history, Pivoras spearheads The Baby Bank, a nonprofit organization she formed to provide supplies to newborn babies and their families. She was inspired to pay back others’ generosity after her twin two-year-old boys were born 11 weeks premature. For now, her adopted hometown provides just the right combination of captivating history and opportunities for volunteer work. She can’t imagine being anyplace else. Growing up in Rockton, Ill., Don Miller gained an early appreciation for the outdoors. Before he retired in 2016, Miller spent three decades sharing that passion as Director of Nature Education at Severson Dells Nature Center, near Winnebago, Ill.
Before serving at Severson Dells, Miller took on jobs including custodial work, teaching and greenhouse growing. He adds that it was always rewarding to see kids attend educational programs, grow up, and then bring their own children. And, he enjoyed watching children who otherwise wouldn’t have had an opportunity to walk the prairie and woods or explore the pond and creek. Some of his proudest moments involve programming that brought in prestigious authors, scientists, environmental activists and naturalists to speak with the public. He also credits the dedicated staff and volunteers who helped him along the way. “Nothing is ever accomplished by oneself,” he adds. 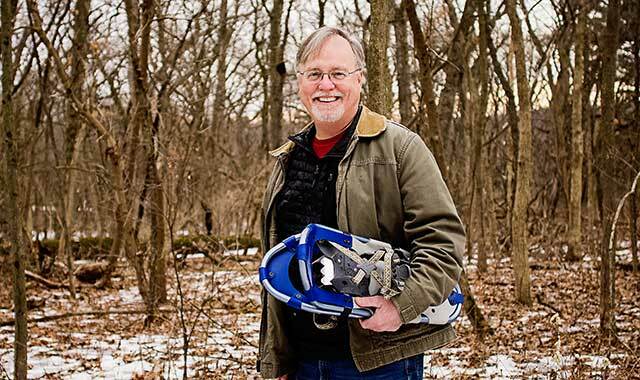 In retirement Miller continues to share with others his love for the natural world, as he helps with habitat restoration projects, volunteers at Severson Dells, hosts lectures, provides consulting services and promotes the nature-themed children’s book he just published. For Dr. Gillian Headley, every day is Mother’s Day… and babies’ day, too. With nearly 20 years practicing as a board-certified physician in neonatal and perinatal pediatric medicine, Headley believes she is exactly where she wants to be and doing exactly what she was born to do. Born in Trinidad and educated in Jamaica, Headley initially studied psychiatry, but during her residency at the Newark Beth Israel Medical Center in New Jersey, she realized her true calling was pediatrics. “I like psychiatry in theory but actually didn’t like the practice of it,” Headley says. She transferred to neonatal and perinatal pediatrics, finished her residency and returned to her native Trinidad. 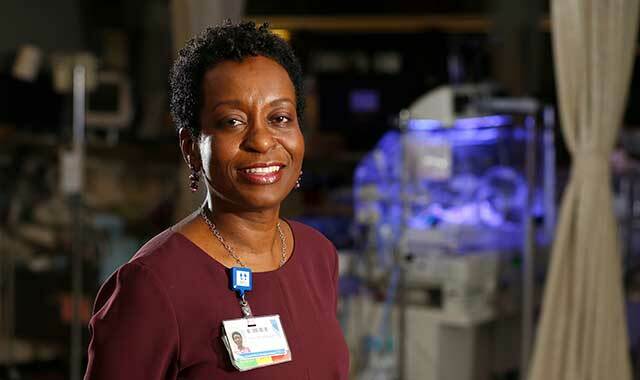 In 2000, she returned to the United States to work at Rockford Memorial Hospital, now Mercyhealth Hospital-Rockton Avenue, in its nationally recognized neonatal intensive care unit (NICU), the highest-level NICU in the region. While Mercyhealth’s NICU is her base, Headley regularly travels to hospitals in 11 counties in northwest Illinois, meeting with and counseling parents who either have a premature infant or who are expecting a child that may need specialized care. With a secondary medical interest in lung diseases and care, Headley is particularly well-matched with prenatal infants who might develop respiratory problems prior to or after birth. Peter Goral has always been a kid at heart. Growing up, he spent most of his time playing with toys and watching cartoons. G.I. Joe and Luke Skywalker weren’t just figurines, they were inspiration. What started as a hobby collecting vintage toys has grown into a full-time career for the 33-year-old Rockford native. 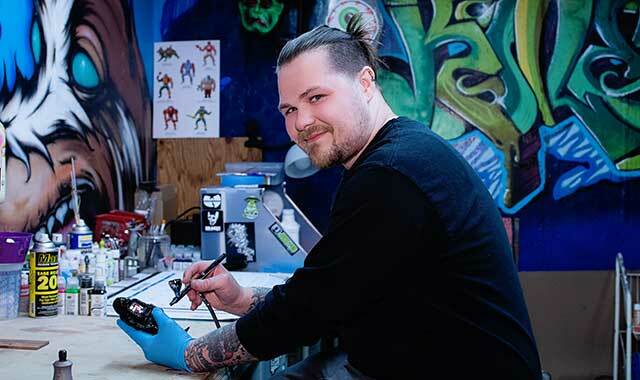 Today, Goral is a toy designer and artist who operates his own company, Killer Bootlegs Inc.
“I never expected I’d be doing this,” says the Jefferson High School graduate. Fulfilling his dream didn’t happen overnight, though. For years, Goral toiled as a shift manager for a local factory. “I was just punching in and out,” he says. But then his wife, Heather, encouraged him to give his art full-time attention. “She’s always been by my side, giving me encouragement,” says Goral, whose two children, Kaylee, 10, and James, 6, have shown interest in his work. Goral has always been artistic, but he found he wasn’t happy with working in two dimensions. So, he taught himself how to make molds and cast his own figures. He mainly utilizes the technique of kitbashing, which involves creating a new model by taking pieces of commercially available items and modifying them or building upon them. “I like kitbashing because it makes the work somewhat recognizable to people who grew up in the same generation as I did,” he says. Working out of his home studio, Goral has made and sold thousands of figures. More recently, he has been working with San Francisco toy manufacturer Super 7, which will be doing the heavy lifting to get some of his newer designs to market. He’s shown his toys in galleries worldwide and been commissioned to make art for many celebrity clients. When she first took a job working at a grocery store in her hometown of Ashton, Ill., Jackie Fransen had no idea it was the start of a fulfilling career in food service. Throughout her college years, Fransen continually landed in food production and catering jobs. She later became a dietary manager at a nursing home, but after a few years she found a longing to use her creativity more fully. So, in 2012 Fransen opened a small, certified kitchen and bakery in her basement and soon found herself making specialty treats for holidays and weddings. 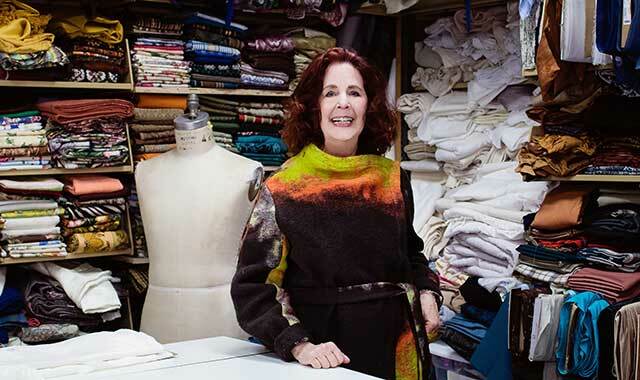 “I found that it was my true passion,” she says. In the fall of 2016, her passion took her in a new direction when she heard about a bakery opening in Oregon, Ill. 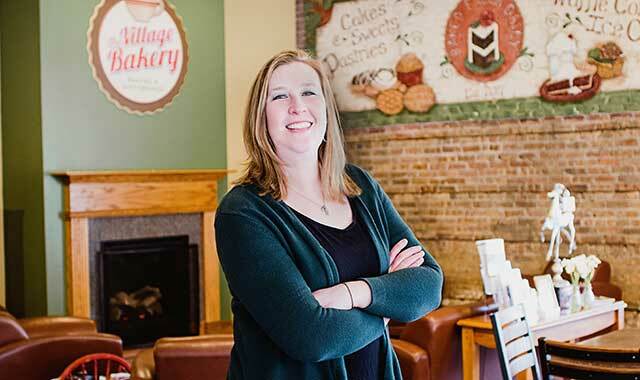 The new bakery was an outgrowth of The Village of Progress, a nonprofit organization helping disabled Ogle County residents age 16 or older to lead more fulfilling lives. Fransen was hired to manage the bakery in October 2016, in advance of its May 2017 opening. She now oversees three full-time employees and numerous part-timers, about a third of whom have some form of disability. 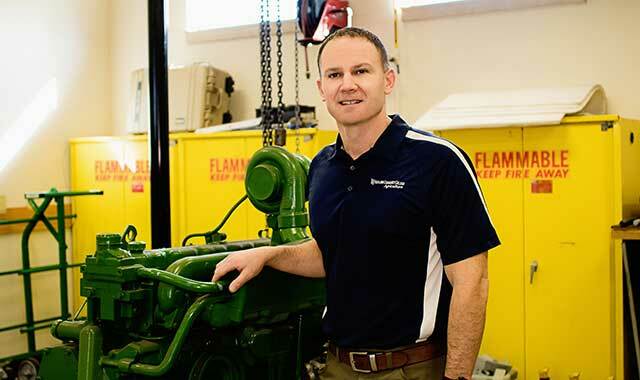 Fransen loves the excitement and challenges that come along with this rewarding work. Doing a favor for someone can change your life. Dave M. Smith learned this in a big way, in 1976. “Some friends from church asked if our family could host a Japanese foreign exchange student,” Smith explains. “They’d run into a medical emergency and couldn’t do it as planned. The experience was so positive that the Smiths hosted students year after year, decade after decade, 110 times in all. Even after Betty died in 2011, Dave opened his home to students. 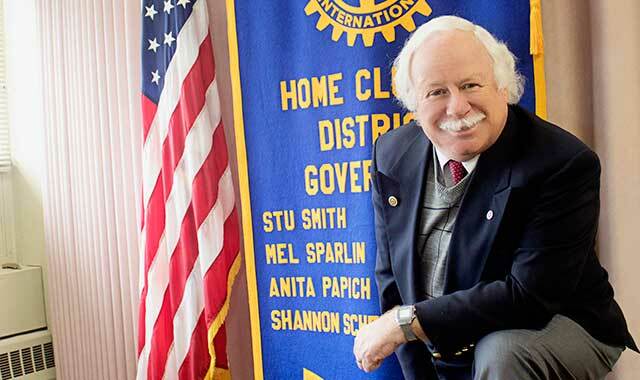 Most of the exchanges have been arranged through Loves Park Rotary Club, which Smith joined in 1979. He was club president in 2000 and is currently president-elect. He served 22 years as District Chairman of Youth Exchange, a 20-hour-per-week volunteer commitment. A Michigan State University graduate, Smith landed in Rockford in 1967 to take an audio engineer job at Channel 23. For most of his career, he worked at V-Tip Inc., and following that he was self-employed as an audio-visual consultant for large organizations like Chicago Public Schools and chain restaurants. He and Betty traveled the world to visit former exchange students. It isn’t about having an ideal life or a fancy house, Smith says. For J. Ian Nie, music isn’t just a career; it’s a mission. After immigrating to the United States from China with his family in 1960, Nie has dedicated more than 50 years to his art. 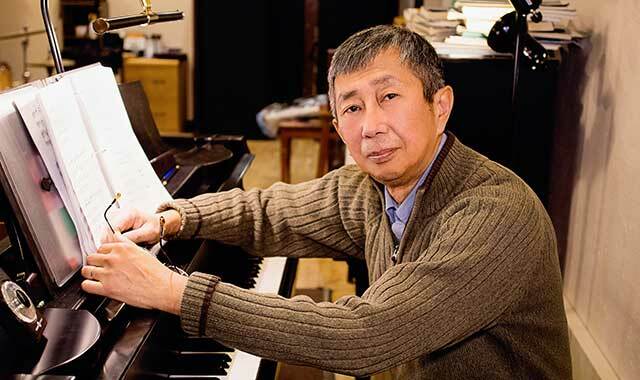 A gifted pianist and Beloit College professor of music, Nie shares his passion for music with students around Rock County, including those who wouldn’t otherwise have an opportunity to receive music education. In 2012, with help from family and friends, he founded Turtle Creek Chamber Orchestra, a nonprofit strings orchestra that connects area youth with professional musicians. Nie and his fellow Turtle Creek collaborators take several approaches to music education. Turtle Creek Orchestra also operates an annual summer string camp for students to continue their studies with professional musicians outside of a school environment. “The first year we anticipated 20 children, but were pleasantly surprised to have nearly twice that many enrolled,” Nie says. Since then, enrollment has continued to grow beyond his expectations. “For the 2017 camp, we were fortunate to have Randy Sabien, international jazz violinist, as our guest clinician, which attracted 75 students,” Nie says. Through a Turtle Creek scholarship competition, talented young string and piano musicians can also gain monetary awards to further their respective musical training. The nonprofit organization relies on extensive support from the community, including volunteers, grants, endowments and assistance from local organizations including Visit Beloit and The Stateline Community Foundation. Passionate about music and sharing it with others, Nie believes high schoolers lack quality opportunities to experience music and receive a quality education in the subject. Dr. Douglas Jensen still remembers the overwhelming fear that he didn’t belong when he began attending community college. Jensen was convinced that, like his father, he’d end up in Pittsburgh’s steel mills – until a former teacher encouraged him to think bigger. For more than 35 years now, Jensen has been returning the favor. Since arriving at Rock Valley College (RVC) in 2016, Jensen has found new ways to help others to see the value of an education and the opportunities it affords them. He’s excited by RVC programs that are helping students to obtain skilled jobs in fields like nursing, aviation maintenance and engineering – and he’s working on further developing the region’s talent pipeline as he partners with Rockford Public Schools and Highland Community College, in Freeport. Jensen is determined to help his new neighbors land well-paying jobs, no matter if they seek a four-year degree or a skilled job – and he believes it’s the community college that stands at the center of any strategy for community, workforce and economic development. “If we can start to show growing and expanding businesses that this region has the ability, through its educational, public and private partnerships, to build a system that will allow us to have a very highly educated and skilled workforce – that will become an economic differentiator,” he says. Given that the average RVC student is 26 years old, Jensen believes it’s essential that the community college remain flexible and accessible to the needs of a diverse population. As a younger professional, Jorge Herrera proved he had what it took to “swing with the big boys” in the world of banking. 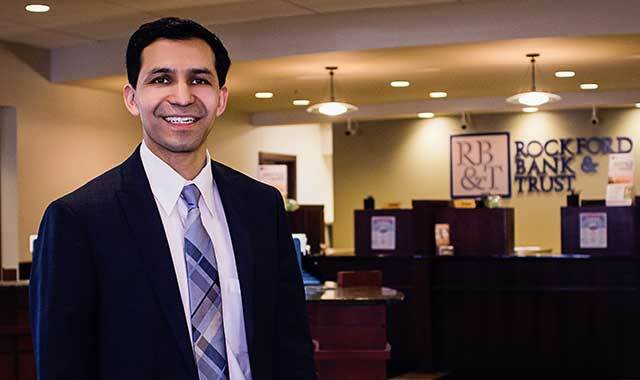 For 17 years, he’s helped local businesses work through cash-flow challenges and obtain the capital they need for growth. And “good for the community” is close to Herrera’s heart. He puts his financial acumen and people skills to good use in volunteer positions at the United Way, YMCA, Rockford Park District Foundation and the Coalition of Latino Leaders. 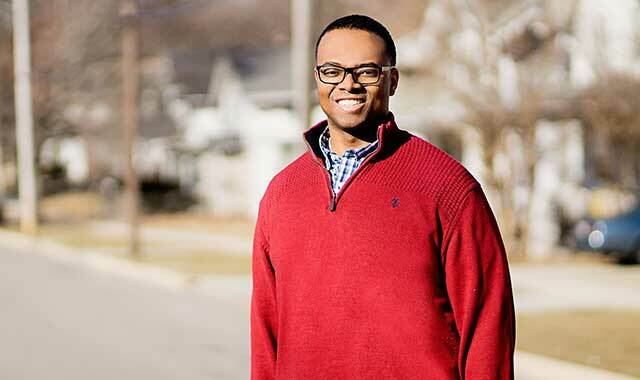 He speaks at the annual Minority Male Leadership Conference sponsored by Rock Valley College and is a member of Next Rockford, a group of young professionals. The common denominator among these groups is their commitment to helping disadvantaged children – a subject he understands from personal experience. “Was I an at-risk youth? You bet,” Herrera says. He grew up in Belvidere, the only son of a hard-working single mother who didn’t drive or own a car. He knows that the kind of community resources he supports today would have helped his family. As he rears three daughters with wife Cynthia in Belvidere, Herrera wants his children to understand that nothing in life is a given; it requires hard work. Jean Heise, of Rockford, is a woman who exudes warmth and compassion. 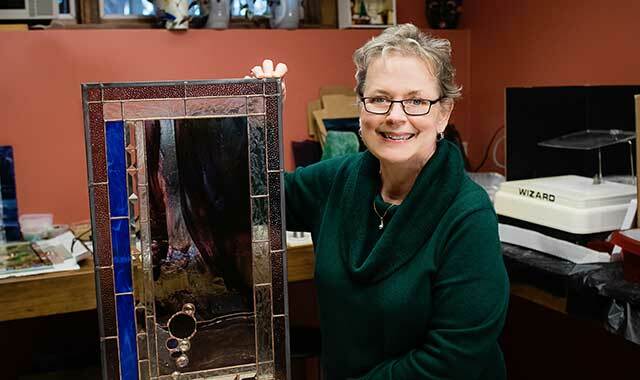 For seven years, she has enjoyed making stained glass, donating many of her creations to charity auctions. She also donates blood regularly. But her greatest passion is volunteering with The Haven Network. When she helped start up the nonprofit in 2004, it wasn’t because a tragedy happened to her personally. Rather, she saw an opportunity to fill a void. The Haven Network, a perinatal hospice, provides immediate and long-term support to families who are experiencing the death of a baby. Whether it’s an ectopic pregnancy, miscarriage, stillbirth or early infant death, The Haven Network staff and volunteers provide peace and comfort in multiple ways. The Haven Network provides immediate in-hospital care and services as well as professional photography of the baby and family. Long-term support includes access to in-person and online support groups, and access to individual and family grief counseling. To date, Heise has made around 900 memory boxes. Each one is unique, taking her about four hours to make. Families get to bring home handprint and footprint clay impressions, mother and baby jewelry, layettes, gowns and blankets in the memory box. Keith Burritt has always enjoyed the theater and acting, but it took his daughter to make it a regular gig. For more than a decade now, he and Jordyn, now 20, have been a regular presence with Main Street Players of Boone County. Out of the 20 shows Burritt has performed in, he’s been joined by Jordyn six times. “I had a friend who was involved with Main Street and my daughter wanted to get involved, so he said to come see us,” says Burritt, a Belvidere resident. His current position as Main Street’s president is entirely an act of love. The actors, board members and set crew are all volunteers, and so is Burritt, who’s a full-time manager at a Rockford-area manufacturer. It’s up to volunteers to select the shows, hire the directors, and set up and take down each stage set. The Players spend about 12 weeks in rehearsals during each of four annual shows, all held at the Community Building Complex of Boone County, in Belvidere. Most of Main Street’s shows are comedies, but the group hosts one musical each year. Burritt’s interest in acting began in fourth grade, when he was cast in a spoof of Rowan & Martin’s Laugh-In, a comedy show from the ‘60s. Burritt is dedicated to his craft, and he’s having plenty of fun. There was never any question what Rosemary Collins would do with her career. Collins, a judge on Winnebago County’s 17th Judicial Circuit Court and the first woman appointed to the bench, will retire at year’s end to spend more time with her family. Collins has served as a circuit court judge for nearly 30 years, advocating for women’s and children’s issues as well as working to end domestic violence. 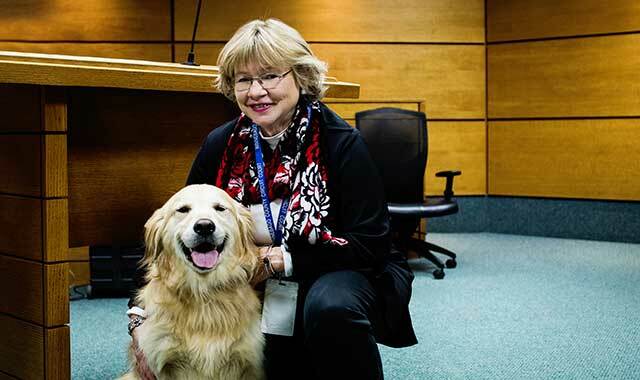 She’s also been a proponent of the circuit court’s therapy dog program, of which Bella, who is photographed above, is a participant. Collins has been steadfast, from working with schools to starting violence prevention programs. She helped attract national recognition to Winnebago County’s domestic programs, and she secured $5 million in grants to help support those efforts. “So much pain and suffering is caused by violence,” she says. “There is no happy ending for a lot of these cases, even though justice has been served. Collins’ impact extends beyond the courtroom. She’s graciously given her time to several agencies, including the Rock River Girl Scouts Council and League of Women Voters. Spitaman (Spitty) Tata, CI Manager, Woodward Inc.
Just because something is a certain way doesn’t mean it has to stay that way. Question why, and if you don’t like the answer, make a change. 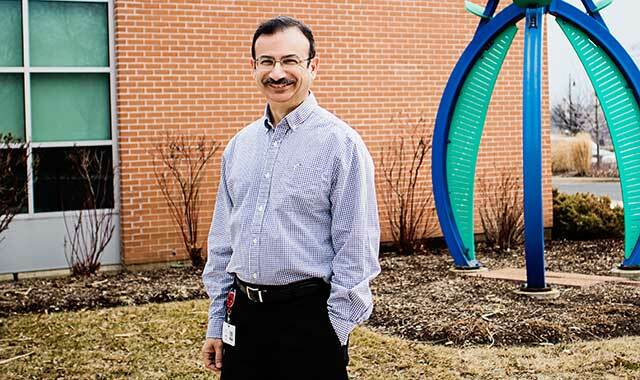 That’s how Spitty Tata, a continuous improvement engineer for Woodward Inc., in Loves Park, Ill., looks at both his career and community service. Whether he’s improving production lines or supporting a community organization, he’s passionate about defining strategies and solving problems. “I’ve always said that engineers go to school to study a particular engineering discipline, but what they’re also learning is problem solving in a structured manner,” says Tata. In his work with organizations such as Rockford Public Schools (RPS), Discovery Center Museum and Transform Rockford, Tata has helped others to identify and implement co-existing strategies, align competing strategies and fill vacuums where strategies don’t exist. He’s facilitated conversations about workforce development and entrepreneurship in the region, and he’s supported initiatives such as RPS’ academies and Jefferson High School’s flight simulators, sponsored by Woodward and United Technologies. Tata has lived in the Rockford region for most of the 33 years he’s worked with Woodward, and he appreciates the region’s small size, parks and entertainment venues, and proximity to Chicago – assets that are easy to take for granted. In some ways, this region reminds him of his hometown, an industrial city in India called Jampshedpur. That city’s population and economy have exploded in the past few decades, in part because several large manufacturers have committed to maintaining a deep local supply chain. 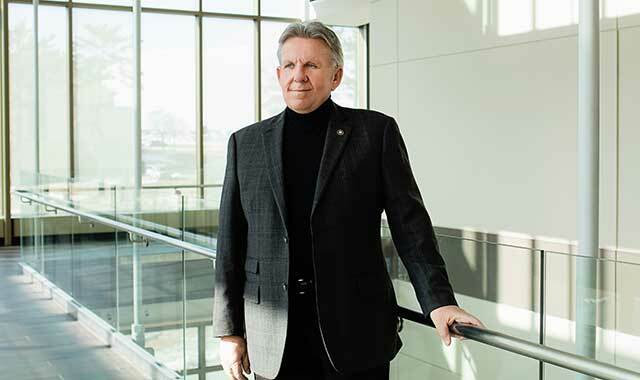 Tata is trying to replicate the same strategy in Rockford, as he supports the Rockford Area Aerospace Network’s effort to develop world-class local suppliers. At the same time, he’s trying to help others view regional success collectively. It’s when we work together, he says, that change has the greatest impact. Growing up on the south side of Chicago wasn’t easy for Bryant Moore. The youngest of four children grew up in a two-bedroom apartment in the city’s Engelwood neighborhood where he was exposed to crime, drugs, drive-by shootings and more than one encounter with the police. When he was in the sixth grade, Moore tested into a program for gifted youth. Through his high school years, Moore was exposed to plays, field trips and college visits. He credits the program for putting him on a path toward his diploma and college. Now, Moore channels the experiences of his youth as a community activist in Rockford. He’s a speaker, author and mentor, and he’s been involved with the Rockford chapter of the NAACP, local politics and numerous churches. He speaks on social issues and leads community rallies, and he’s currently working on his doctorate in curriculum, advocacy and policy. He’s also the author of “Poisoned Soil,” a book that brings perspective to issues facing minority communities. Moore wants to be a helping hand to those in need. In 2001, Gennett and her partner, Rich Horbaczewski, decided it was time to leave Chicago and move to Wisconsin. They were farmers, and they enjoyed selling vegetables and flowers at farmers markets throughout Wisconsin, including one in Beloit. Before long, the director of the Downtown Beloit Association approached the couple about opening a local grocery. “We found that many growers and producers wanted to cooperate with us, which led us to say ‘Why not just put this into brick and mortar?’” Gennett says. In 2008, she and Horbaczewski opened Bushel & Peck’s, a market, restaurant and farm. Even though the world’s economy tanked within three months, Beloit residents rallied to support the new business. In 2010, Bushel & Peck’s became a four-part business when Gennett’s creativity needed an outlet. She started developing recipes for a preservation kitchen, which complemented the store’s farm, market and restaurant. When she’s not creating recipes or working on marketing, budgeting and other logistical tasks, Gennett likes to return to her quiet property in Monroe, Wis., and work on restoring an 8-acre garden and prairie adjacent to her home. In general, she loves anything to do with plants. John Mecklenburg doesn’t wait for the “silver bullets” to come. Instead, he rolls up his sleeves and enlists others to his cause. 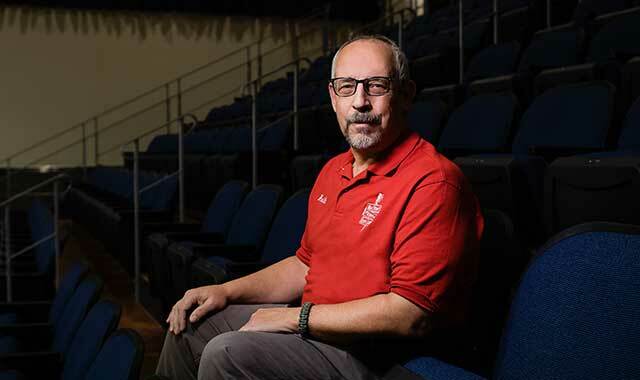 For more than two decades, this dedicated community servant has been leading the charge, as he works to improve underinvested neighborhoods, serve his church and other nonprofits, and coach others to success. Mecklenburg figured he’d stay in Rockford only a few years when he took a job at Rockford University in 1981, and he figured he’d stay just a few years longer when he was offered a chance to lead SwedishAmerican Health System’s foundation in 1991. But he kept getting calls to stay involved. 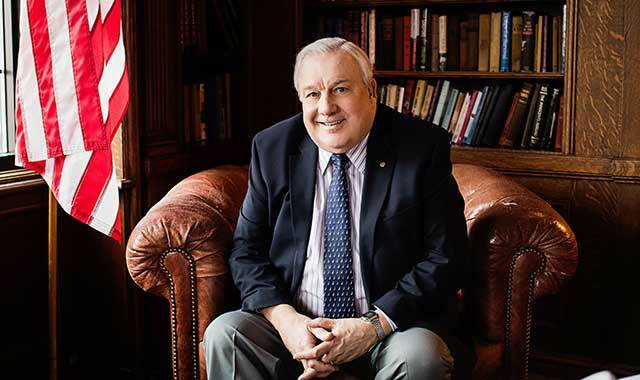 At the SwedishAmerican Foundation, he accepted a mission to raise money not just for the hospital but for healthy community initiatives – a mission that took on more significance when the hospital’s board committed to staying at its Midtown campus in the late 1990s. At the time, that neighborhood was one of the poorest in the nation, Mecklenburg says. From the foundation’s $10 million capital campaign, funds were earmarked to stabilize the neighborhood and increase homeownership. With Mecklenburg’s oversight and donors’ input, the foundation razed 42 houses, built more than 30 new homes, and rehabbed and sold 25 homes to hospital employees, providing discounts and down payment assistance. Crime dropped 12 percent. When other issues presented themselves, Mecklenburg jumped at the chance to build parks, provide health care job training and offer children’s physicals. “The people in this town are incredibly generous,” he says. Mecklenburg has become a sought-after consultant since retiring in 2013. He’s signed onto the Miracle Mile’s effort to repair the area around East State Street and Alpine Road, and he recently joined a group investing in the area around Huffman Boulevard. In between, he still finds time to visit family and provide advice to anyone who calls. Emarc Malavolti knows about hard work. That’s what happens when you grow up with 22 siblings and hundreds of chickens. Home was a 5-acre property in Caledonia, Ill. That changed when Malavolti started attending Highland Community College, in Freeport. It wasn’t exactly his forte. After graduating, Malavolti worked a brief stint as a youth minister before diving into the world of entrepreneurship. Here, he finally found his passion. 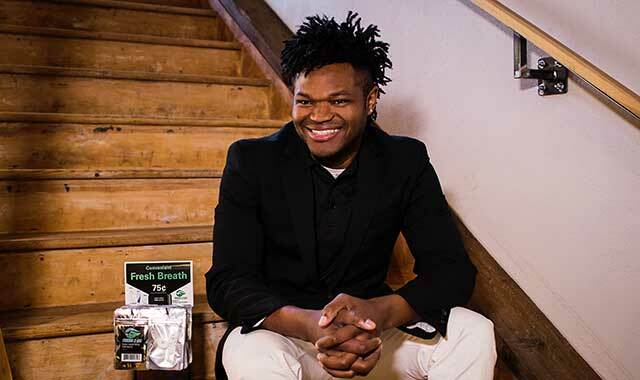 In 2016, he invented Fresh2Go, an oral hygiene product containing gum, mints, floss and a toothpick. Packaged by adults with disabilities, Fresh2Go has made a splash throughout the region. In 2017, Malavolti won the Freeport Fish Tank competition (imagine a local version of “Shark Tank”) and the “Spirit of Entrepreneurship” award at NIU Eigerlab’s FastPitch competition. “People seem to love Fresh2Go because it’s practical. I mean, anyone who eats food is in my target market,” Malavolti laughs. Right now, you can find Fresh2Go at many local businesses, or online at Fresh2Go.net. But eventually, Malavolti hopes you’ll find his product at chain restaurants and hotels. Wishing to expand his network, he also founded “Masterminds,” a group for entrepreneurs – at all levels of success – to meet once a month, at 6 a.m., to focus on personal growth. Between Fresh2Go responsibilities and Masterminds, Malavolti enjoys reading personal development books. The face of homelessness has changed over the years, but the purpose of the Rockford Rescue Mission has remained steadfast. 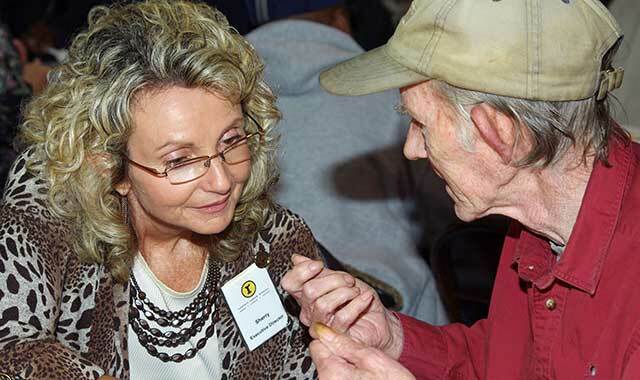 That’s due in part to the efforts of Sherry Pitney, who’s been with the Mission for 35 years. The Rescue Mission was founded in 1964 by Ray Stewart, with Gerald and Nadine Pitney joining the next year. Sherry came along in 1982 after marrying Gerald and Nadine’s son, Perry. Things have changed drastically since those humble beginnings. The Mission moved to its current site on West State Street in 1999, and in recent years has added new ventures to serve area homeless, including a thrift store and a cafe. Through the years, Pitney has kept the mission firmly rooted. Dealing with troubled people can be taxing. Every year, the Mission provides nearly 142,000 meals and 50,000 nights of lodging for men, women and children. But Pitney believes it’s a calling to both the homeless and to God that keeps her motivated. Every kind of science enchants Anne Weerda, but she’s especially fond of biology, having earned a degree in molecular biology from Northwestern University. “The first time I saw sub-cellular interaction, I thought it was the most beautiful thing I’d ever seen – or not seen,” she says with a laugh. She wanted so badly to share the sight with others that she earned a second degree, in film, so she could use computer animation to illustrate it. It was an early indicator that the art of sharing science would become as important to her as the science itself. 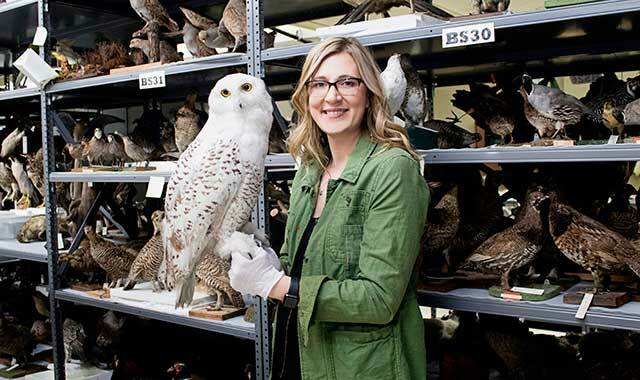 It’s not too surprising that Weerda, the daughter of two medical doctors from LaGrange, Ill., went on to earn two master’s degrees and a position at Chicago’s Field Museum in the mammals research department. More surprising is that she swapped that job for a teaching post in a south-side Chicago public high school. But she fell in love with the students, the school, the challenge. She coached track, became an assistant principal and formed a core belief that later underpinned her work as a professional educator’s coach. Her techniques weren’t always conventional. It was her husband, CPA-turned-firefighter Jim Weerda, who brought Anne to his hometown of Rockford; the couple now have three children, ages 3, 5 and 7. During a job as curriculum director of Winnebago Community School District, Weerda impressed then-superintendent Dennis Harezlak, who lost no time drafting her into Burpee’s service. For as long as he can remember, Justin Ebert has been surrounded by agriculture. Raised on a farm in Ashton, Ill., where his family raised beef cattle, corn and soybeans, he still maintains numerous ties to the land. Ebert spent 14 years teaching agriculture to high school students, including eight years at Oregon High School, in Oregon, Ill. Four years ago, he made the jump to Highland Community College, in Freeport. Ebert emphasizes, as often as possible, just how important careers in agriculture are to northern Illinois and to a state where an estimated 40 percent of all careers have some sort of connection to farming. Ebert’s students encounter plenty of science in their classes, which include subjects such as the environment, horticulture, agriculture business and economics. When they graduate, they can leave Highland with either certificates in agriculture or an associate’s degree and a path toward a four-year degree in agriculture – if they so choose. Ebert’s excited to see the program growing, and he wants to continue exposing more students to agriculture. Drew Ten Eyck worked several jobs after graduating from the University of Wisconsin-LaCrosse with a degree in biology. Those jobs took him across the country, including stops in Alaska and Wyoming. But all the while, he knew he would eventually end up where his story began: on the family apple farm in Brodhead, Wis. It made sense that he returned three years ago and officially took over the business last year. 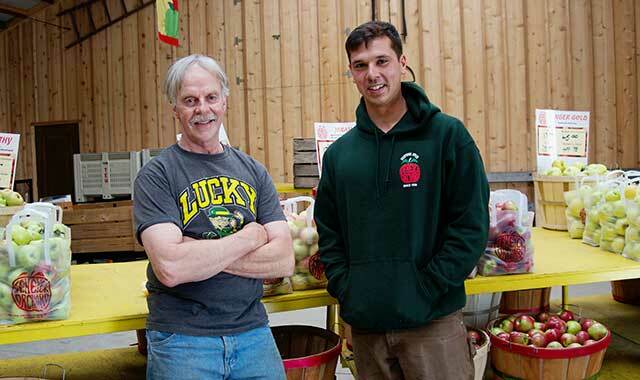 After all, Ten Eyck Orchard has been in the family for six generations, dating back to its beginning in 1839. It was part nostalgia, part homecoming and part ownership that brought him back. The timing was right, as his father, who had run the orchard for more than 40 years, was ready to step back. For Drew, it was literally a coming home. He grew up on the farm with his share of chores and responsibilities. On the weekends, he would help run the machines that sorted and packaged the apples, collecting a dollar a box. As he got older, he would add duties including travelling to farmers markets, planting, pruning and picking. Now he’s the man in charge. While Drew is maintaining a family tradition, he isn’t above putting his own stamp on the farm. Just as trust is fundamental in a relationship, it’s essential to making the biggest purchase of your lifetime. Rockford Realtor Karen Barbagallo has spent 23 years returning others’ trust – in her work, in her community service, in her family name – as she helps families to buy and sell homes. Her husband, the late Jim Barbagallo, had been a Realtor for six years before he enticed Karen into the field. She figured if he was spending so many evenings and weekends helping clients, they might as well do it together. While the Barbagallos together supported local arts initiatives and nonprofits, and appeared at local art fairs for Jim’s pottery studio, Karen became active with the Illinois Realtors Political Action Committee (RPAC), a group that lobbies for the interests of Realtors and homeowners. 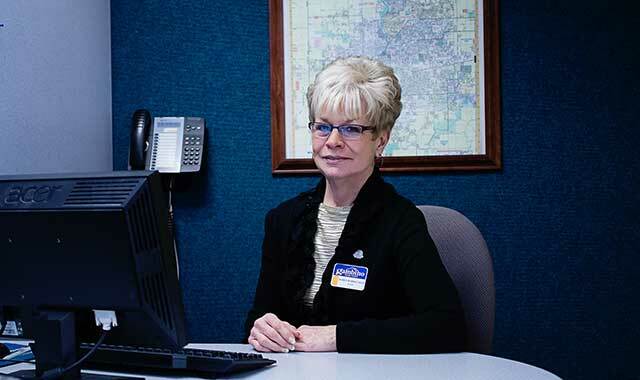 Since Jim’s death in 2014, Karen has focused more time on RPAC and her three young grandchildren, all while serving clients through Gambino Realtors, in Rockford. The fast-paced movement of today’s real estate market presents plenty of its own challenges, but Karen, a Rockford native, finds it’s getting easier to sell others on the region’s quality-of-life and the many new amenities popping up, especially around the downtown river district. It’s still the little signs of appreciation that remind Karen why she loves selling real estate: the chance to serve others who are counting on you to do the right thing. Matthew Knott has seen just about everything during his 20 years with the Rockford Fire Department. Knott is the department’s division chief of administration and fire prevention. He’s responsible for budgeting, fire investigation and community education, working closely with local schools to spread the word about prevention. “It’s the teachable moments that provide the most value to our community,” he says. The Stillman Valley, Ill., native didn’t always dream of a career in firefighting. 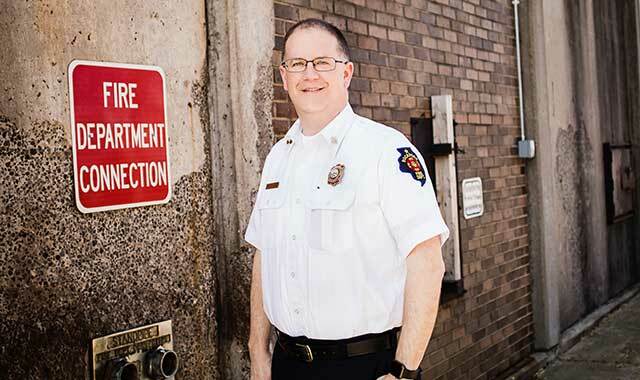 After earning a geology degree from Northern Illinois University, Knott went to work at Rockford Blacktop, where he handled project planning for hazardous cleanups; he served as a Stillman Valley Fire Department volunteer during his free time. That’s when a friend tipped him off about an opening with Rockford’s department, where he started as a firefighter and paramedic before working his way up to his current role. Knott has battled his share of local fires. But he’s also provided assistance for some of the country’s biggest natural disasters. In 2005, he was one of 600 Illinois firefighters who traveled to New Orleans to offer support during Hurricane Katrina. “The devastation could be seen for miles,” he recalls. In 2011, he went to Connecticut to help during Hurricane Irene. Knott is also a student of his trade. In 2015, Knott, who is married with two daughters, graduated from a prestigious program at the National Fire Academy in Maryland. In 2016, Knott studied at the Fire Service Executive Development Institute, where he competed with chiefs and officers from across the country just to become part of the program. Jeléna Holcomb didn’t plan on being a teacher. Even though she comes from a long line of educators, including her mother and twin brother, Holcomb had other ideas when she graduated from Illinois State University with a double major in French and Spanish. Holcomb did just that. A product of the Rockford Public Schools, the Auburn High School graduate first became a paraprofessional at Barbour Language Academy. 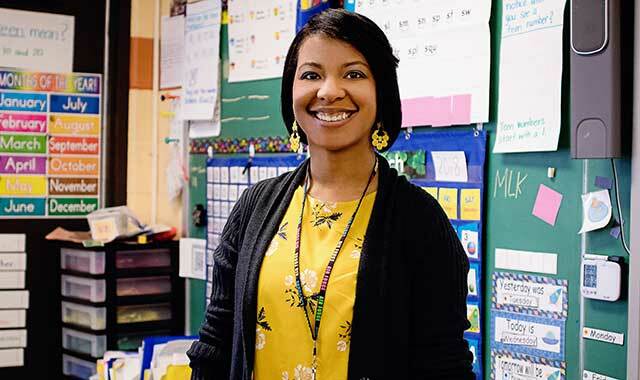 She earned a transitional bilingual certification and became a kindergarten teacher at Barbour before earning her master’s from the University of Phoenix. She has taught at Brookview for the past five years. Teaching has changed drastically in her 14 years on the job. Students, for example, have shorter attention spans, she says, due to the onslaught of technology and video games. Holcomb serves on a number of school district committees, studying everything from peer reviews to accountability issues. She’s been a finalist for the prestigious Golden Apple award. And she can often be found attending her students’ birthday parties or dance recitals. This entry was posted on Tuesday, April 3rd, 2018 at 12:00 pm	and is filed under Annual Guide, Features, Top Posts. You can follow any responses to this entry through the RSS 2.0 feed. Both comments and pings are currently closed.